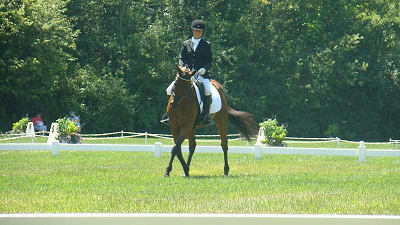 Sharon and Micky put in a very impressive dressage test, score 63.8%, putting them in the middle of the pack. On to the fun and games tomorrow! 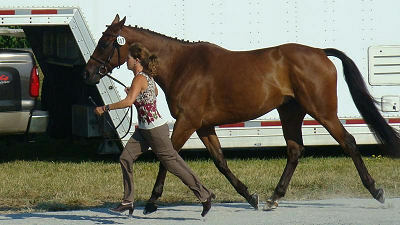 With heightened nerves and anticipation, Sharon and Natalie prepared Mickey for his first CIC* jog inspection. Miesque Star is accepted. YAY!!!!! One hurdle down…. On to the dressage phase tomorrow….Good Luck to them both. Sharon, Mickey, and her groom Natalie, headed up to Piedmont early Wednesday morning, to check Mickey one last time, prior to the long drive up to NY. Dr. Joe Davis, gave them the thumbs up, so off they went. 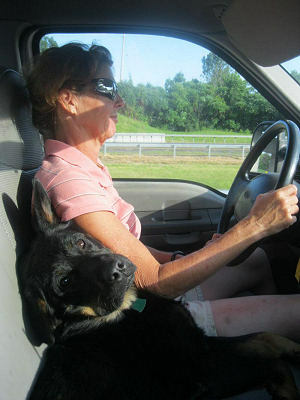 The journey was luckily uneventful and all passengers, including Joe-Joe, Sharon’s new dog, arrived in good condition. More to come…. LOOK OUT NEW YORK HERE WE COME!!!!!! 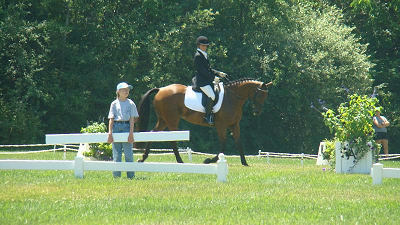 Click on link for more details on the Horse Trial and to follow Sharon and Micky as they progress through the phases. Good luck!!!! Mickey and Sharon were the second to last competitors to ride at the Compass Rose Dressage show this weekend in Haymarket Virginia. By the end of the day the clouds had rolled in for some much needed relief from the June heat. 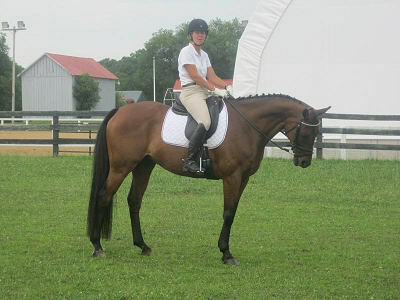 This show provided the pair with the opportunity to practice the FEI * star test in a regulation size dressage ring before heading off to the Stuart HT in July. 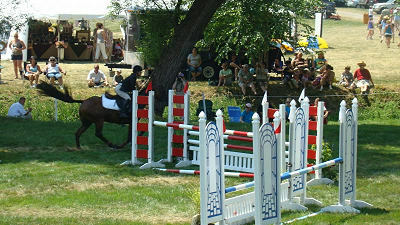 Sharon entered to practice the test twice, with hopes of improvement on the second ride after the judges comments. Mickey was a star and scored a 31.67 on the 1st test ride. With the judges in sight we improved our score and bought home a 28.75 for the 2nd test. Very impressing scoring for this pair’s first showing at FEI level. The 1 star entry is in the mail!!!! Follow along as Sharon and Mickey make there final bid for the CIC* at the Cosequine Stuart Horse Trials July 13-18, in beautiful Victory, NY. This horse trial is always run beautifully, and everyone involved is wonderful, making Rubicon, a horse trials, one no one wants to miss. 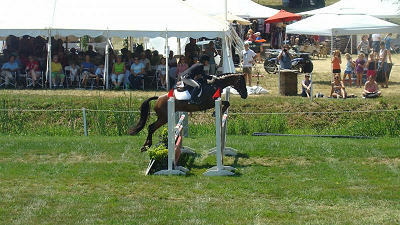 Seneca Valley HT will be next up for Mickey, on June 18th in Poolsville, MD, another fabulous venue, hosting wonderfully constructed X-C jumps to gallop. The final outing, before heading to Stuart, will be the Compass Rose Dressage show giving this dynamic duo the perfect opportunity to practice the FEI* star dressage test. Stay tuned for the ups and downs that are sure to pave the path on our way to Stuart!